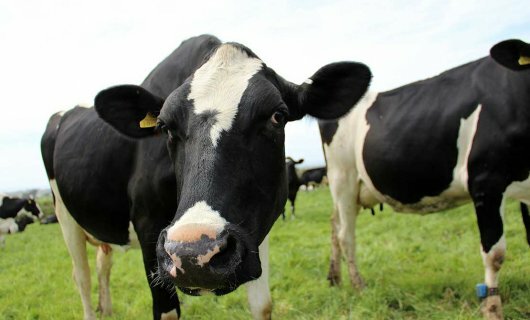 A nationwide dairy farm survey is under way as part of a project to evaluate the effectiveness of current vaccination practices to prevent leptospirosis in dairy herds – the country’s most common zoonotic disease that affects the health of both animals and people on pastoral farms. A Massey University pilot study in 2010-11 found 13 per cent of cows that were supposedly properly vaccinated were shedding leptospires in 44 Manawatu, Waikato and Southland herds, with 30 per cent of herds affected. While it was not representative of the New Zealand dairy population it raised questions about the effectiveness of vaccination programmes used on those farms, including the age of calves when first vaccinated. Professor Cord Heuer, from Massey University’s Institute of Veterinary, Animal and Biomedical Sciences, says the present project, which began in June, aims to clarify the findings from the initial study that provided only limited insight due to the small sample used. The project will focus on reducing leptospirosis risks in dairy cattle by surveying farmers about vaccination practices, collecting blood and urine samples from stock and collating other information to find out best practice for leptospirosis vaccination. “We will look at the extent of animal exposure and shedding [the release of bacteria into the environment from urine], current vaccination practices against leptospirosis and links with antibody prevalence and shedding. Randomly selected dairy farmers throughout New Zealand will be participating in this research and will be contacted initially by the Massey team. Dairy veterinarians are also being encouraged to promote the study to their clients. Sampling is scheduled to begin in December and will target 200 dairy herds across all regions, stratified by the number of lactating cows per herd. Twenty cows per herd will be randomly selected for blood and urine samples by each farm’s veterinarians. A bulk milk sample will also be collected. The study is being overseen by the Farmers Leptospirosis Action Group (FLAG), which includes representatives from Massey University, the New Zealand Veterinary Association, Rural Women New Zealand and DairyNZ. Funding has been provided by the Sustainable Farming Fund of the Ministry for Primary Industries, AgMardt, industry and stakeholder groups. The study will be subject to animal ethics approval and farms will not be individually identified to ensure confidentiality.